Whether you're a retailer or just want to promote your business in a vibrant way, we have a product for you. We can supply Point of sale solutions, Window graphics, Banners, Billboards or even Site Hoardings. Floor space is often forgotten about but is a great area for promotion. 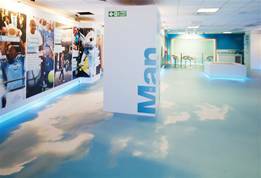 Why not use a custom printed carpet or carpet tiles to give an area a really stunning impact? Our promotion for spaces category contains products designed to give your business a stunning presence in any location. 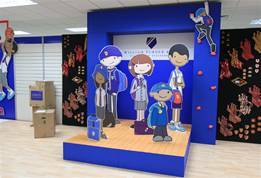 If you're a retailer we have great in-store solutions such as Cardboard engineering or In-store promo stands. 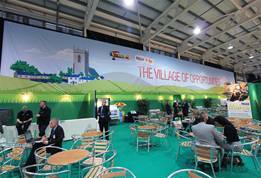 Walls and windows are a great place to promote your business or organisation. You can also use products such as PVC banners or External site hoardings to cover up refurbishment work. Looking for something bespoke or do you have a question about our Promotion products and services? You can visit our Customer Service Centre, give us a call 0800 389 9898 or use our Quick Enquiry forms. Get Your Custom Promotion Quote Name Email Phone Message Briefly describe your enquiry, this will help us direct you to the right product specialist. Any business that wants to spread word of its message will have invested in promotional material at some point. Promotional signage is one of the most affordable ways of letting people know you exist, no matter what industry you operate in. Promotional printing and promotional signs are a fantastic way to catch the attention of people in your shop, passers-by, as leaflets for marketing campaigns, and much more besides. Creative marketing with promotional signage can also work as an effective point-of-sale solution in retail settings. Promotional signs used as part of an overall creative strategy can help raise a company’s profile, especially on a local level. Promotional printing can be used anywhere, from the walls in your office, at your exhibition stand, on the floor, as part of a banner advertisement, and other creative applications. Promotional printed services combined with calls-to-action such as offers, discounts, and more are an impressive way to attract new customers and – most importantly – get the message across to potential clients and partners what you do and how you can help improve people’s lives. Contact The Image Group today to find out more about how our printing services can help advertise your business.